With so much unwanted noise all around, everything from tire and engine noise to airplanes overhead, music blaring from other cars’ interiors, to just-plain incessant traffic sounds, no wonder consumers are looking for a quiet haven while they drive. Those who regularly carry family members in SUVs can especially appreciate the rich sounds of silence in a well-crafted interior. Searching through expert reviews, we’ve discovered the following three models that can be considered the best 2013 quietest SUVs. 2013 Buick Encore – In a first drive of the 2013 Buick Encore five-passenger compact luxury SUV, Kelley Blue Book complimented the vehicle’s passenger cabin “which has the kind of style, space, features and flexibility” to please a wide range of would-be owners. 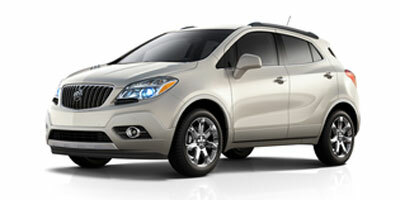 But the special attention that Buick devotes to quiet interiors – its QuietTuning – is clearly evident in the Encore. Laminated windshield, thicker side glass panels, supplemental noise dampening materials, and more all combine to wrap the passenger compartment in luxurious silence. But Buick added Bose Active Noise Cancellation circuitry that “quite effectively helps filter out unwanted low-frequency din from the engine.” The 2013 Buick Encore is the first of the division’s vehicles to benefit from this new sound-deadening feature, which is standard on all Encore models. 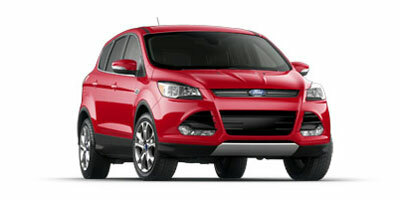 2013 Ford Escape – The redesigned 2013 Ford Escape five-passenger small SUV, according to Consumer Reports, is “solid, sophisticated, and fun to drive.” Highlights of the Escape include agile handling, a taut, yet “impressively supple” composed ride and a cabin that is “one of the quietest in the class.” Drivers and passengers can ride in comfort and quiet in all trims, although adding options can get pricey to get all the premium features. Still, the new Escape is leaps and bounds ahead of its previous version, and the small SUV is fully competitive with the Honda CR-V, Toyota RAV4, and Subaru Forester (in the opinion of Consumer Reports). 2013 Hyundai Santa Fe – When Edmunds tested the redesigned 2013 Hyundai Santa Fe Sport all-wheel drive five-passenger SUV with its 2.0-liter turbocharged four-cylinder engine paired with six-speed automatic transmission, they came away impressed with its quiet cabin. Editors noted that wind noise is “exceptionally absent,” even with large mirrors and expansive windshield. The turbo four-cylinder is “quiet even under full throttle.” Although there is some tire noise, it’s not excessive. The suspension has better isolation to keep out road noise and vibration and some reviewers say that the cockpit isolation is better than the Hyundai Sonata, even with nearly identical powertrains. 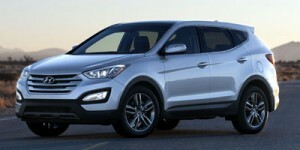 Consumers should note that there is a larger, seven-passenger Hyundai Santa Fe, replacing the outgoing Veracruz. Featuring the same high-quality materials and sound muting in the cabin, it is also a contender for the best and quietest 2013 SUVs. im about to drop 20000 on an suv. At 60 yrs old, I want quiet more than anything.can you recommend some to me? Thanks.